Left to Right: Maddy, Tina Peters, her Mom, Ruth Peters and my Mom Evelyn Carolan, at age 93 seated. 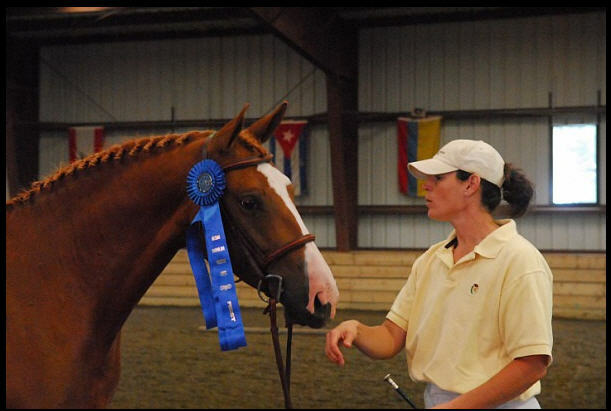 September 2013 Ironreign and Jr's Freedom won their classes at the MD Horse & Pony Show. Ironrose was 2nd in her classes and 2nd in the Zone Finals. 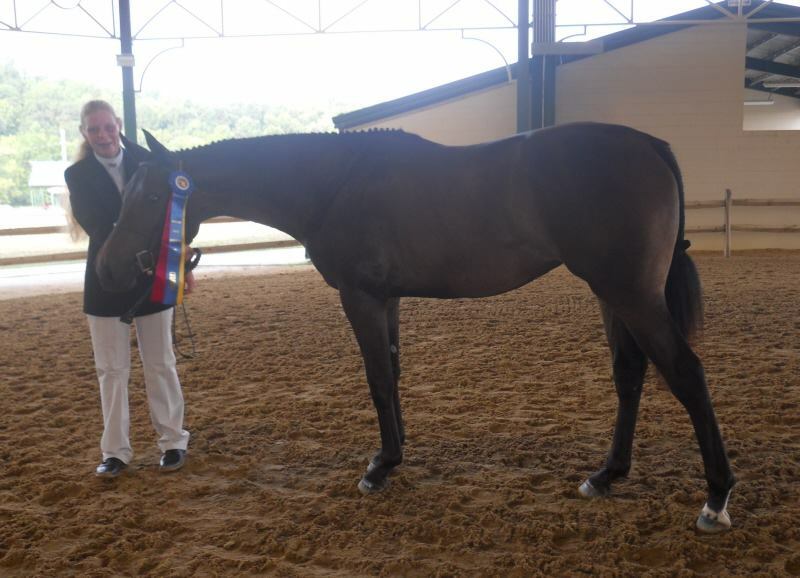 August 2013: Jr's Freedom was Reserve Champion TB at the Warrenton Horse Show, and her filly foal, Ironreign was Reserve Champion Foal. Ironrose also had good ribbons on the line. Ironrose stood on the line at Upperville Placing 3rd in a class of competitive fillies, Tina Peters handling. 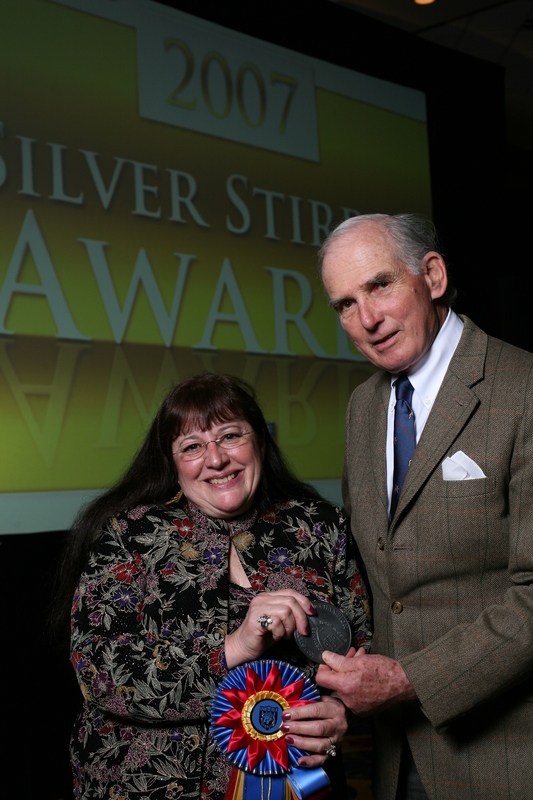 Ironrose placed third in the MHSA Yearling OTTB Filly High Score Awards. 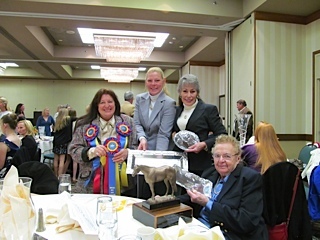 Maddy and Ironrose were Reserve Champion Amateur Handler. 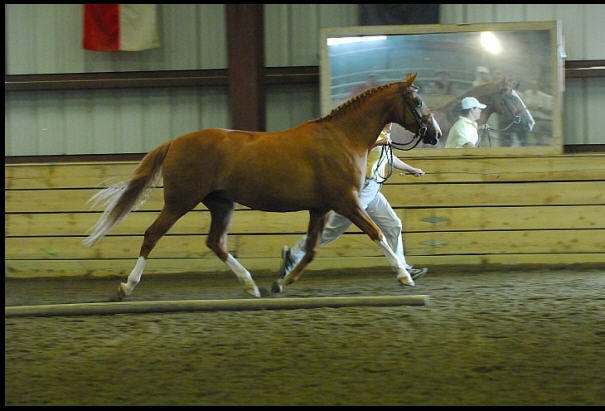 Ironrose stood on the line at Warrenton and placed 4th in a class of 8 outstanding fillies. 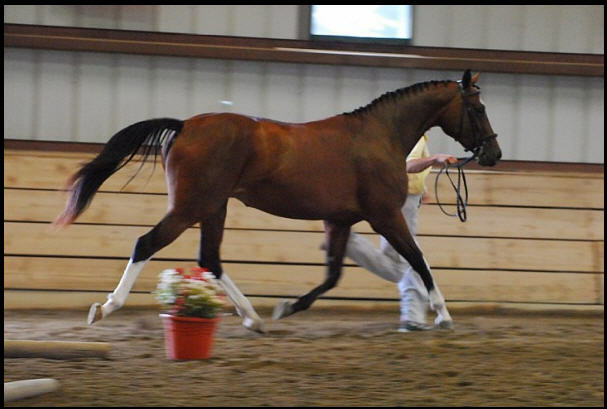 Ironrose wins the Yearling Filly Class; Junior Champion and Grand Champion at the Maryland State Fair, with Maddy handling! 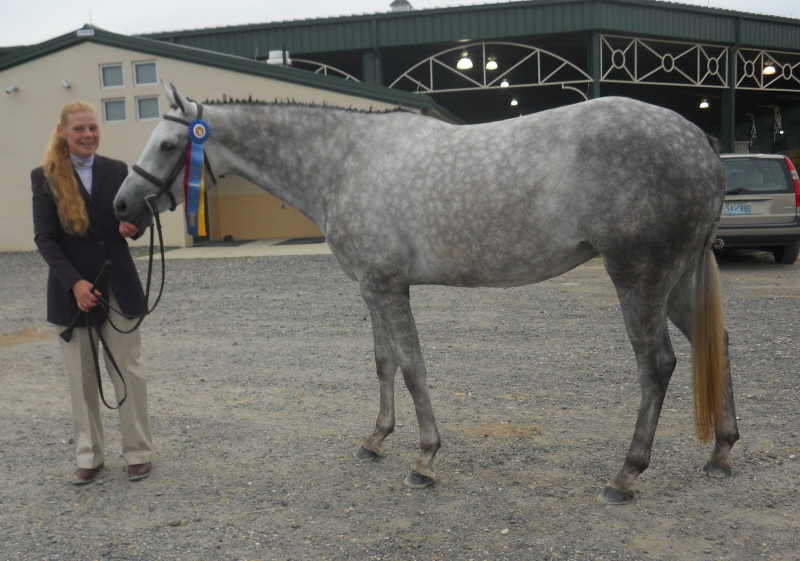 IronRose debuted in Hunter Breeding at the June One Day Show. Tina Leonard Handling. IronRose is now 13 months old and check out her new photo! Karissa Herself turned two years old 3/31. photo coming soon! 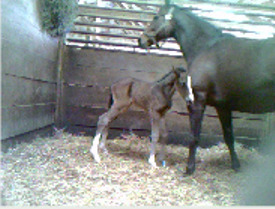 March 2012 Sadly I lost our Arab Peanut to colic, he had a short, but cherished life with us. November 11th, I lost my lovely Greatie at age 21. 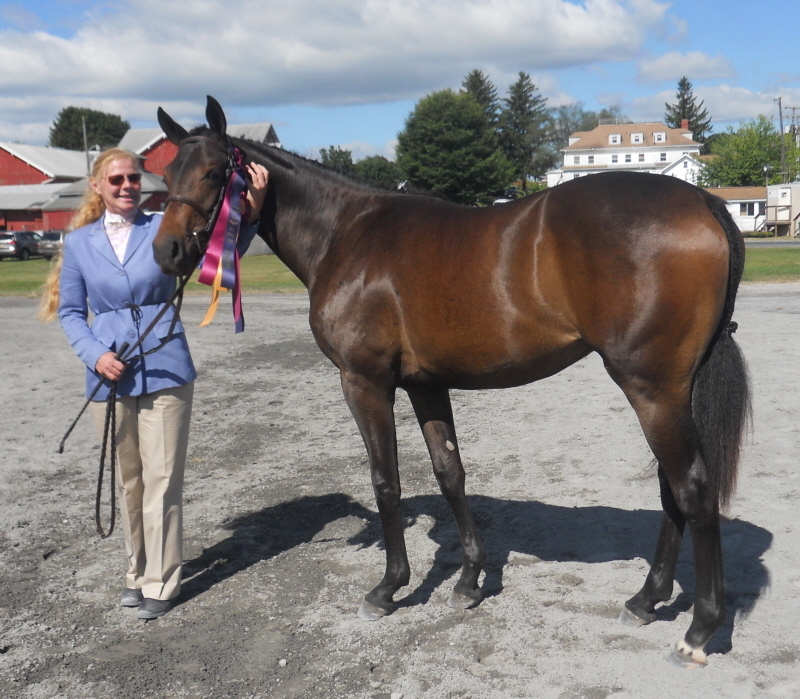 Karissa Herself attended the Future Event Horse East Coast Championships. 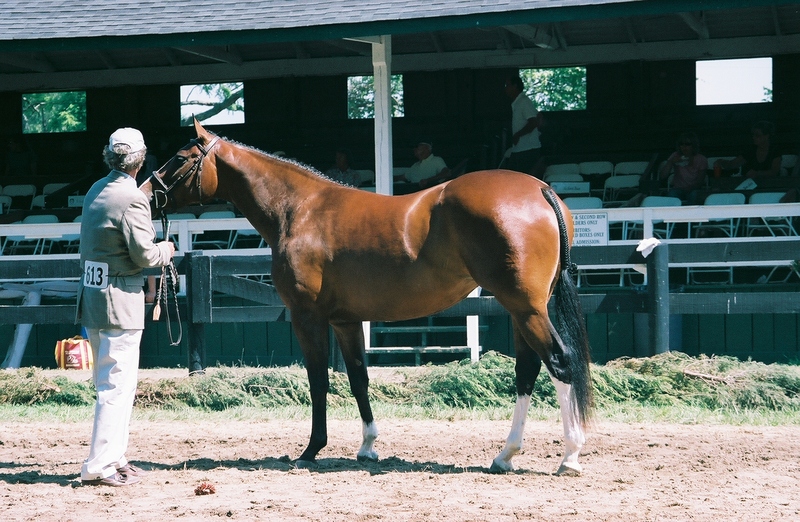 Scoring 74.23 she was second in the yearling class; 2nd highest scoring filly for the entire show and Third in the Yealing Championship Class. Fourth highest scoring horse for the day! Flamingo was returned to Monocacy Farm not in foal. 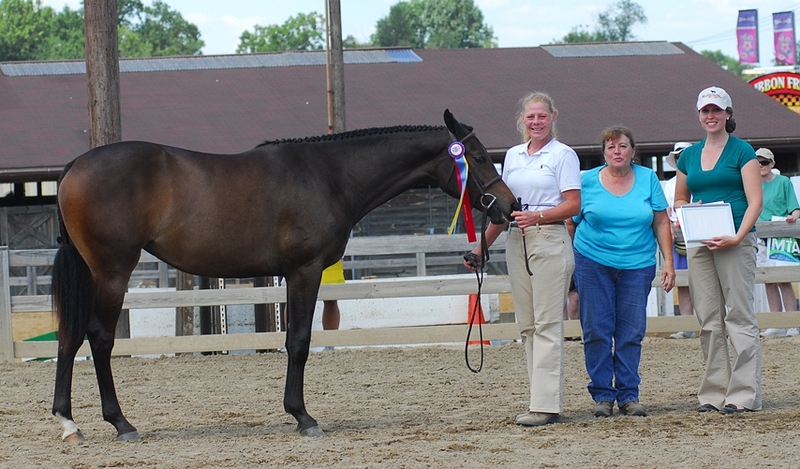 September 4, 2010 Karissa Herself is Reserve Champion Foal of 2010 at the 108th Warrenton Horse Show! 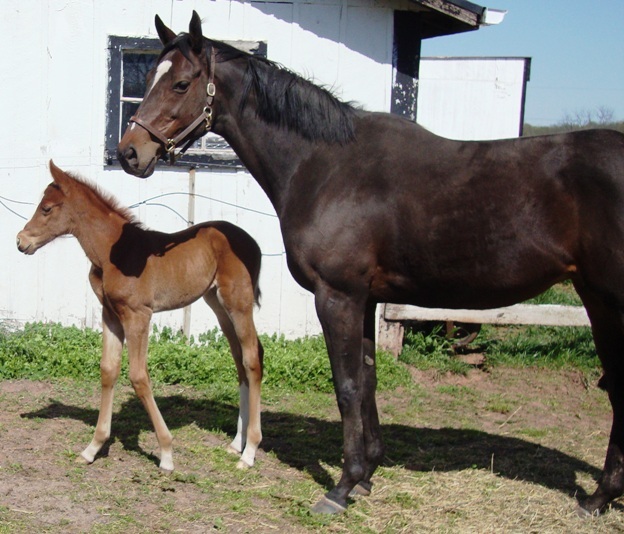 March 31, 2010 Jr's Freedom produced a stunning, refined Chestnut Filly, sired by New Blessing Farm's Legaczy! This lovely sabino filly is Karissa! Which means Love and Grace! Barn name Karat! July 29th The BWP Keuring was held at New Blessing Farm, thank you Karen Severns for hosting this event! June 21, Dazzle is Best 3 year old, and Reserve Champion Best Young Horse under both judges at McDonogh School Horse Show! 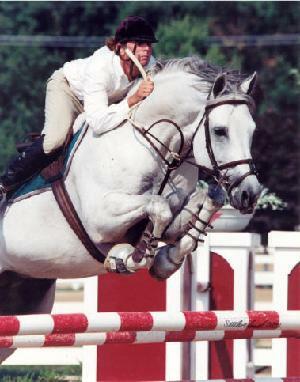 June 2009 G.Beda'czzled Herself made her debut in Hunter Breeding at Upperville and placed 7th in a class of 14 colts, geldings, and fillies. 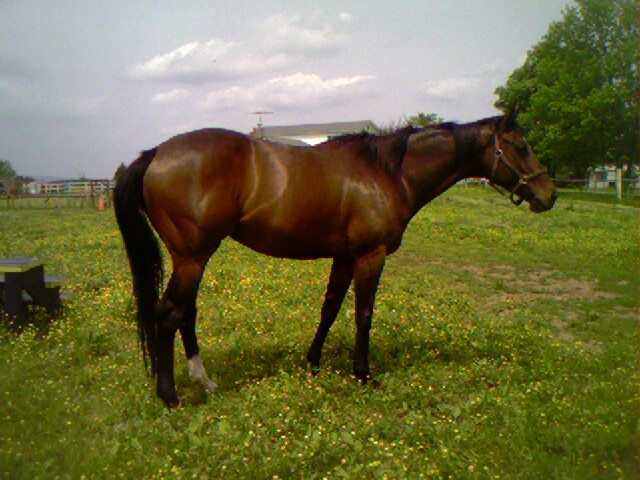 "Daz" is out of our lovely TB mare, Mal's Mystery and sired by a son of Alla Czar. 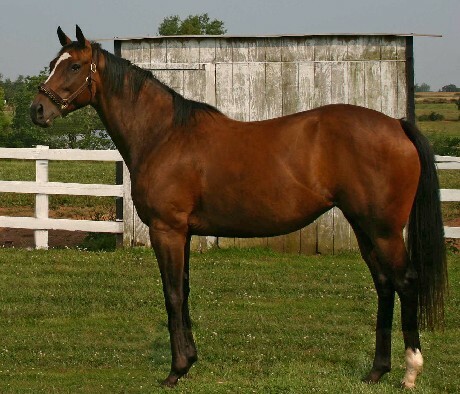 April 2009 Jr's Freedom was confirmed in foal to New Blessings Farm's Legaczy sired by Alla Czar for a March 2010 foal. We are truly excited about this breeding. November 2008 We said goodbye to Prove It Mal a.k.a. "Granny" She was humanely distroyed due to the Infirmities of Old Age. She lives on through her daughters and grandbabies. April 2008 April 7, 2008 Welcome "In Dreams" new bay sabino filly repeat of G.Beda'czzled Herself. Sadly lost after just 57 hours, April 9, 2008. R.I.P. June 2007: Sparkle and Dazzle each win a class at VADA/NOVA! Dazzle wins the PHR class with a score of 79! May 2007 Mystery is confirmed in foal to Balta Czar for 2008 repeat breeding of Dazzle! 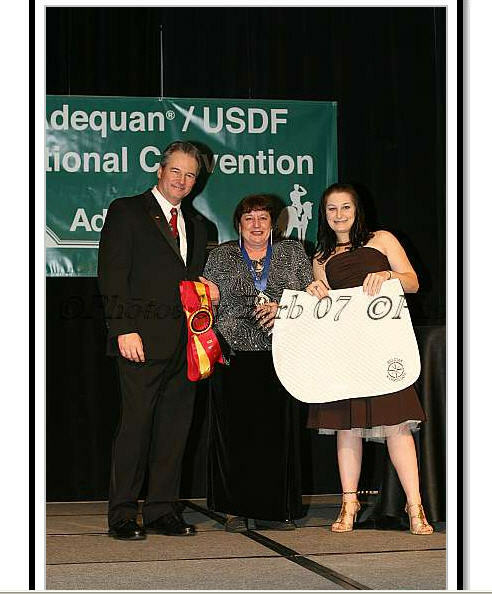 SUCCEED is the BEST product I have used in 50 years! The improvement in appetite, behavior, trainability, and performance is incredible. I highly recommend SUCCEED!